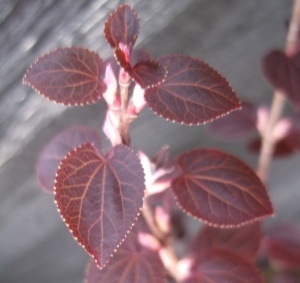 This beautiful form of Cercidiphyllum has very dark purple to red leaf colour in summer followed by yellow, orange autumn colour (on more mature trees). Cercidiphyllum japonicum Rotfuchs is a very narrow form of upright habit, making a perfect small specimen tree. Cercidiphyllum japonicum Rotfuchs is also known in the UK as Cercidiphyllum japonicum Red Fox (Rotfuchs means Red Fox in German) Originated in Germany and raised from selected seedlings collected by Karl Fuchs around 1977.